Singapore fascinates me, architecturally — there are so many new, shiny and modern buildings. It’s such a treat for an urban photographer like me. But Singapore is also wonderful for street photography and I didn’t know the city-state is quite diverse, ethnically. 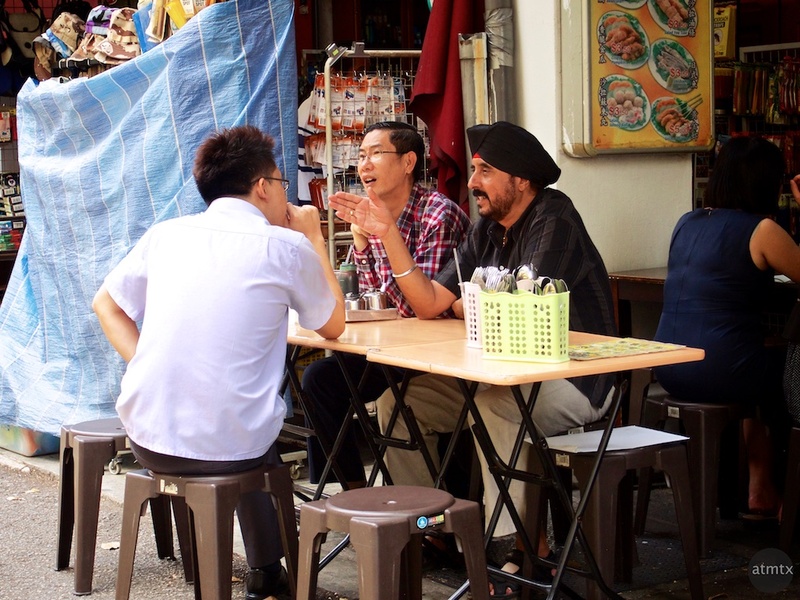 In addition to Malaysians, there are many Chinese and Indians who all live together harmoniously. Surprisingly and quite remarkably, one race is not considered “better” than another. At least that’s what people said, when I asked them. They are all considered equal. How wonderful. I took this in Chinatown, located a short MRT ride from the city center. There are also Indian and Arab sections of town. Shot with the Olympus E-PM2 and the modest but effective Olympus 14-42mm kit lens, back in 2014. Part of my Travelgram Collection, where I seek travel photos beyond the typical post cards.